Our very portable Tele Vue-76 APO refractor has been popular with eclipse-chasers as well as with users that cross over into spotting and birding. With the popularity of small and powerful dedicated imaging cameras, the performance of the Tele Vue-76 is getting noticed by deep-sky imagers on the go. 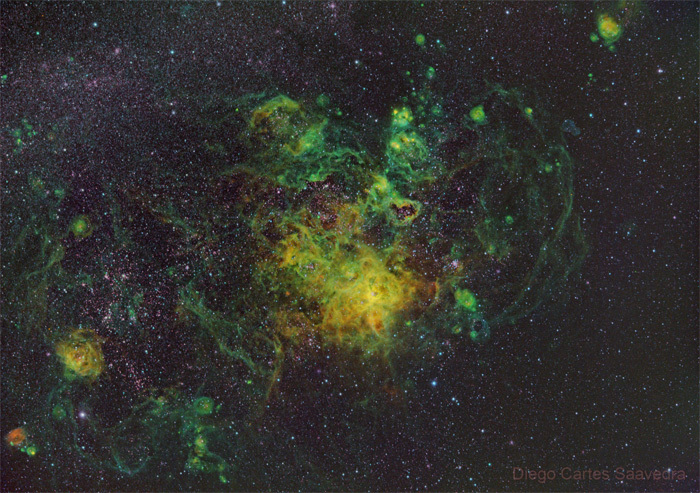 Case in point, Diego Cartes Saavedra is producing outstanding deep-space images from various locations in the southern-hemisphere with this scope. All his images in this blog post were taken from July through November 2018. 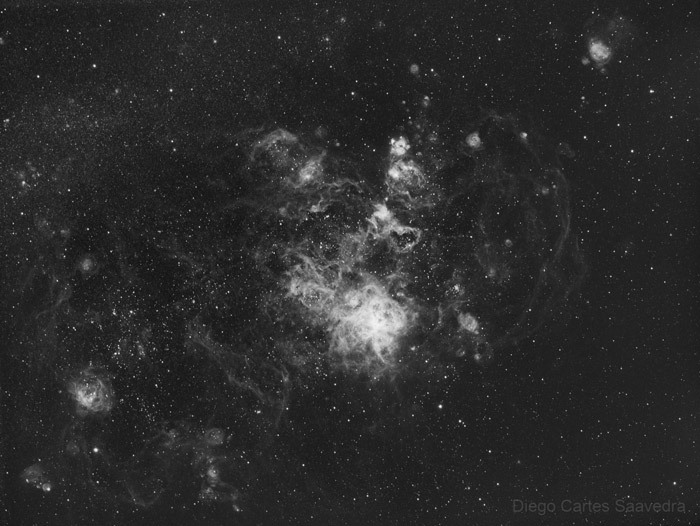 Diego’s study of the Tarantula Nebula and surrounding region in the Large Magellanic Cloud examines the area imaged through different filters. 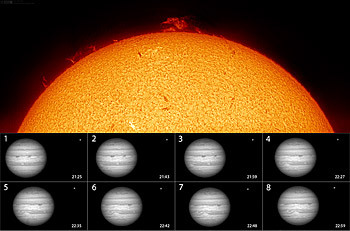 The first image is a monochrome version taken in Hydrogen-α light. NGC 2070 – Narrowband H-Alpha by AstroBin user Diego Cartes. Copyright Diego Cartes. All Rights Reserved. Used by permission. Tele Vue-76 APO refractor with Tele Vue TRF-2008 0.8x Reducer/Flattener (converts Tele Vue-76 to 380mm f/5) and ZWO ASI 1600MM Cooled Pro monochrome camera though ZWO 36mm H-alpha filter for 62×300″ for a total of 5.2-hours. 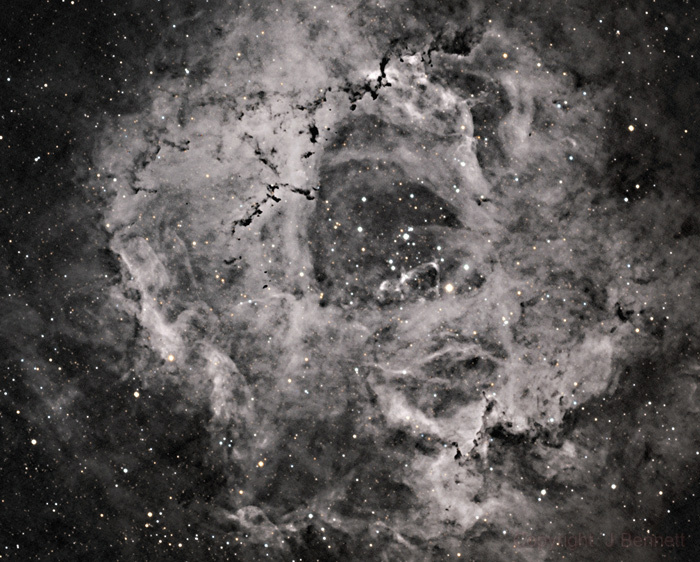 The Rosette Nebula by AstroBin user Jeff Bennett. Copyright by Jeff Bennett. Tele Vue TV-NP127is with QSI 683 wsg-8 camera using Astronomik Ha 6nm and RGB filters for 25×300″ (2.1-hrs) total on November 27, 2017. This year we received a phone call from Jeff Bennett with some questions about his new TV-NP127is scope. He’d only been using it since the fall of 2017 but was very enthusiastic and told us he’d tried other scopes, but the NP127is was the best he’d ever used. 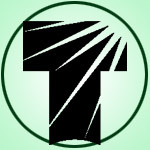 We viewed his astrobin.com page and we were impressed with his initial results. So, we asked him to tell us why he chose the NP127is for astro imaging and he told us in his own words. 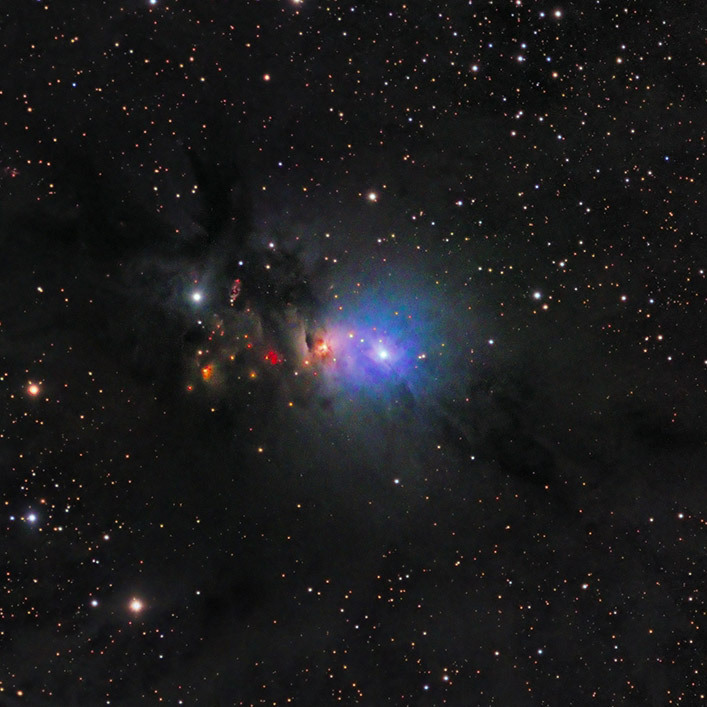 NGC 1333 reflection nebula in Perseus from Brorfelde Observatory (Luminance) 7/8 January 2018 and Drøsselbjerg (RGB) 14 February 2018. (Cropped, click for full-image.) Equipment: TeleVue-NP127is, ZWO ASI 1600MM cooled mono camera, and Baader filters, on Track The Stars TTS 160 Panther mount. Luminance: 39x300” by Niels Haagh & Niels V. Christensen at Brorfelde. RGB each: 20x120” by Niels Haagh at Drøsselbjerg. 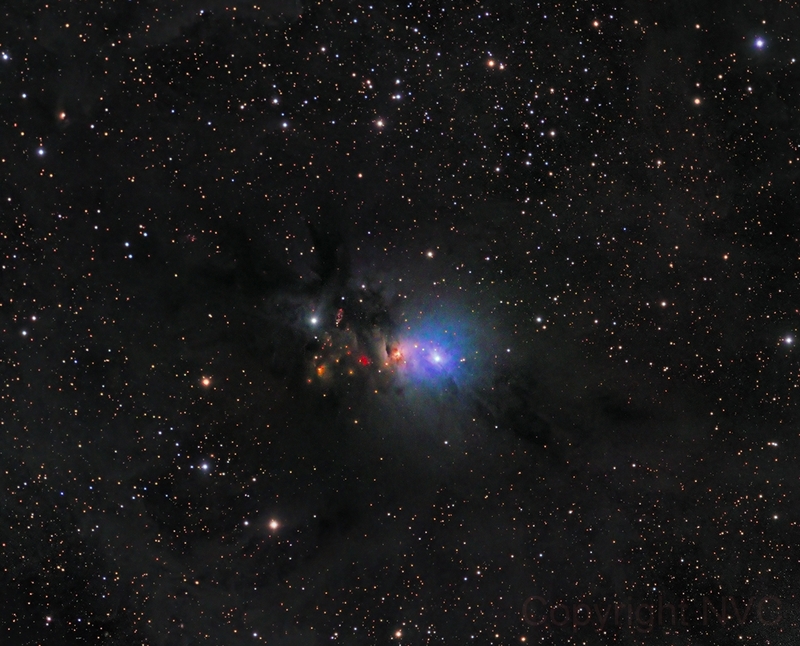 NGC 1333 … by AstroBin user Niels V. Christensen. Copyright Niels V. Christensen. Used by permission. We spotted some great Tele Vue-NP127is images on Instagram and AstroBin recently. They are the work of a collaboration between Niels Christensen and other amateurs from Denmark. We contacted Niels to learn more. 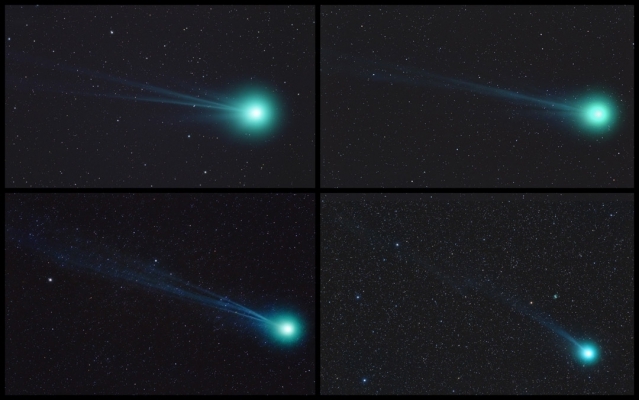 “Comet Lovejoy (clockwise from top left: 1/19/15, 1/25/15, 2/7/15, & 2/20/15) with link to animation.” by flickr.com user Mike Broussard licensed by All rights reserved. 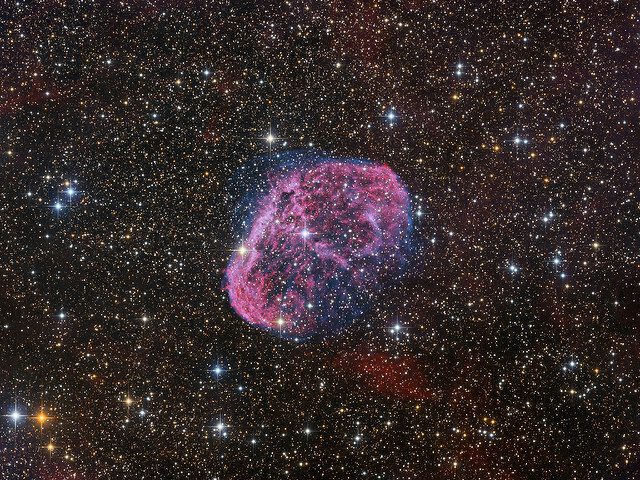 “Crescent Nebula” by Oleg Bryzgalov. All rights reserved. Used by permission. Paracorr Type-2 with 10″, f/3.8 Newt & QSI-583wsg camera. Exemplary usage of Tele Vue’s versatile visual/imaging Powermate accessory line is highlighted in our new flickr gallery: TVO Powermate Photos. This curated gallery features targets as diverse as the Sun, Moon, planets and even the International Space Station.